It’s not news that Memphis is a hatchery for fresh and innovative artists. And while a handful of privately-owned spaces, such as David Lusk, L Ross and Jay Etkin galleries are fixtures on the established art scene and hold standards necessary for a healthy creative ecosystem, there are a number of newer galleries that have cropped up, flying somewhat under the radar, and doing things a little differently. 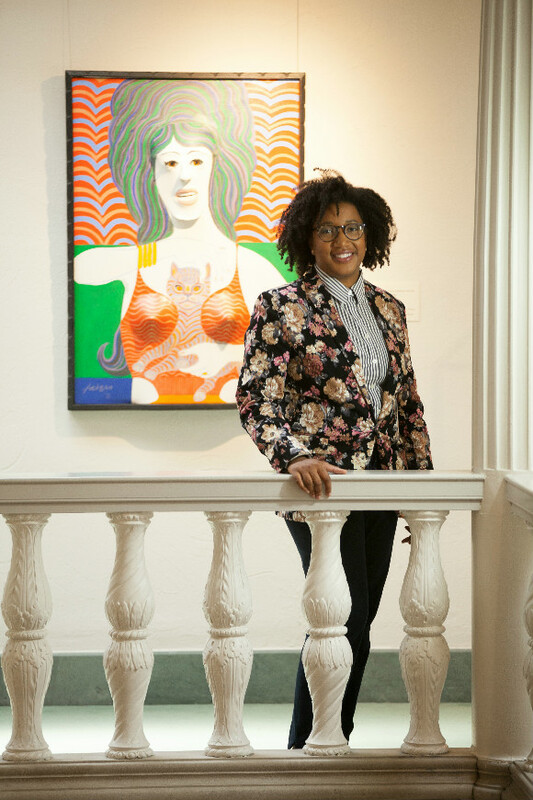 Whitney Hardy, founder and executive director of Young Arts Patrons, at the Memphis Brooks Museum.Just over a year ago, Orange Mound Gallery opened its doors to the community in a former liquor store in a strip mall on Lamar Ave. The opening of this space was intentional every step of the way. “(Residents) pointed out this spot to me and wanted to do something with it,” said Linda Steele, former chief engagement officer with ArtsMemphis. By residents, Steele was pointing to LueElla Marshall and Mary Mitchell. Marshall had taken the initiative to address blight in Orange Mound by purchasing several 55-gallon drums to put on street corners as trash receptacles. Mitchell’s students at Melrose High School painted the cans. “I didn’t know where we were going with the project, and I met Miss Linda (Steele), and she was telling me that these (trash cans) were art,” Marshall said. Marshall and Mitchell found the storefront while searching for a location to store the cans, and a gallery was born. 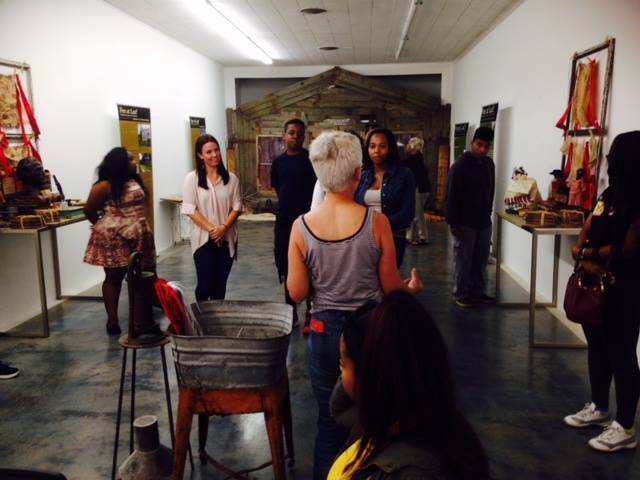 A view of "Free at Last" an exhibit at Orange Mound Gallery hosted in partnership with the University of Memphis' 1886 Memphis Massacre Symposium. 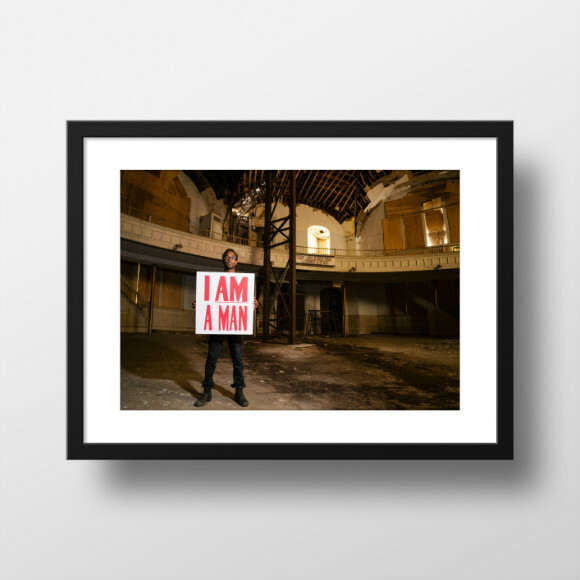 Thomas’ show was held in conjunction with the Memphis Art and Place Symposium presented by Rhodes College, a three-day forum which hosted discussions throughout the Memphis community about arts, community, equity and access in creative placemaking. Other shows since have included “Free at Last” in conjunction with the University of Memphis’ 1866 Memphis Massacre symposium, “This is Orange Mound,” in conjunction with the Blues City Cultural Center’s neighborhood tour and exhibit, “Shotgun Folklore” by local artist NJ Woods, and “The Black Experience,” showcasing work by 13 Black artists and curated by Carl Moore. The next exhibit, “Fiber: A Tribute to Black Femininity,” featuring work by Brittney Bullock, Siphne A. Sylve, Felicia Wheeler, and Catherine Patton and curated by Grace Stewart and Victoria Jones, opens Thursday, March 16 from 6 to 9 p.m. So far, Steele feels like she and her co-founders have achieved the objective of contributing to the revitalization of Orange Mound and addressing some of its challenges. They’ve also already expanded, occupying the space next door, nearly double in size, with a vision to host meetings, after-school programs, rehearsals, and other neighborhood initiatives, and, of course, more gallery space. 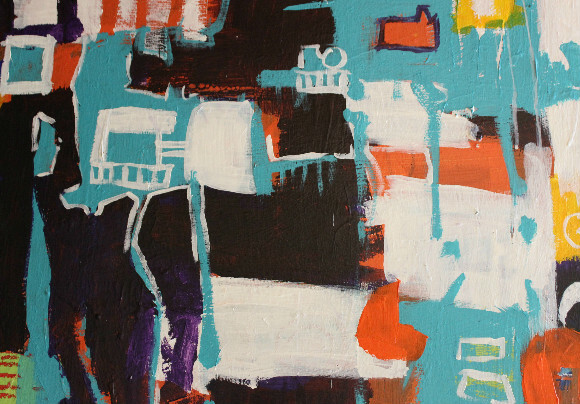 Orange Mound native NJ Woods' work displayed at the Orange Mound Gallery is inspired by the neighborhood's shot gun houses. 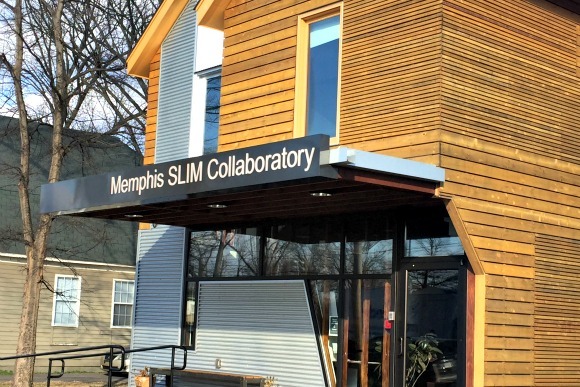 A similar intentionality was applied in the development of the Memphis Slim House, a “collaboratory” — collaboration plus laboratory — that serves as a community center for creatives in the Soulsville neighborhood. Upstairs from the recording studio, there is a meeting room with just the right kind of lighting and white walls for Slim House creative placemaker Leni Stoeva to facilitate art showings. “We were going to use it as a resource library, (but when that fell through), I quickly thought what better way to use white walls than have a gallery,” said Stoeva, who ran an art leasing business. Originally conceived of as a music incubator, the Memphis Slim Collaboratory has evolved to host art exhibitions. Since opening its doors at 1130 College Street in 2014, the facility has hosted shows for 12 artists, including Jamond Bullock, Howard Franklin, Tobacco Brown and Eso Brandon Tolson. In addition to showing objects and images in the gallery, multi-media artist Brown landscaped the backyard of the Memphis Slim House where performances are held. She built seating and backdrops from reclaimed materials on and near the site and held several community build-outs during this process. Tolson held workshops, one titled Doin Stuff, which focused on being creative professionally as well as getting involved in one’s community as person working in the creative field. He also hosted a workshop on branding, which attracted several community business people. The process of sourcing artists and presenting a show is very outward-facing according to Stoeva. A piece from Joey Miller's "The Five Fifths" exhibition at Memphis Slim House. The colorful walls of Caritas Village are the first sign that the Binghampton facility is a community-oriented arts hub. The center strives to bring people from all racial, ethnic and socioeconomic backgrounds together through the arts and many other activities. A piece from "She Love", an exhibition by artist Siphne Sylve at Memphis Slim House. The 12-year-old Caritas Village, located at 2509 Harvard, also hosts a residency. To qualify, the artist must propose a project that the community will benefit from. 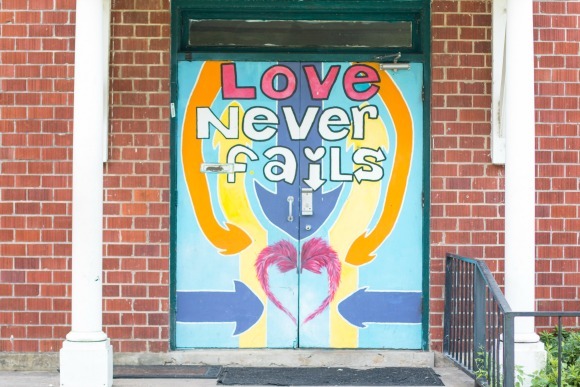 For example, Frank D. Robinson painted signs with motivational words such as "love" and "peace" throughout the neighborhood, and culinary artist Elijah Townsend currently serves as chef in the kitchen for his residency. “Our gallery and residency serves as a way for emerging artists to be seen in a supportive environment, and it also serves as a way to bring art to the community of Binghampton and as a source of dialogue for the people who come in the space,” Barker said. The newly opened HART Gallery in the Edge neighborhood takes art-plus-community-change to the ultimate level. 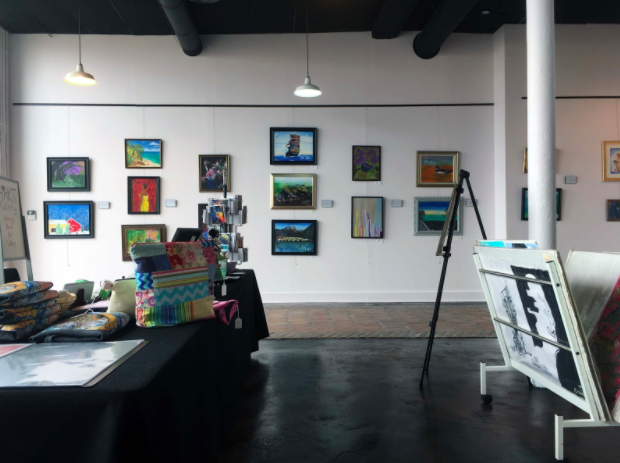 Begun in 2009 in Chattanooga, the HART Gallery offers art classes to the homeless population and gives them a venue to showcase and sell their work in an effort to break the cycle of homelessness. The colorful entrance to Caritas Village in Binghampton. While working in the Chattanooga site, Heavilon repeatedly heard from clients that she should open a satellite in their town. After serving with Artspace developers in Chattanooga, she followed them to Memphis. It was here she saw that her model was replicable. “There seemed to be a great need,” Heavilon said. She purchased a building at 645 Marshall in 2015 and opened in the summer of 2016. The building offers gallery space in the front and 11 studios in the back which Heavilon rents to artists of all means. As of now, she works with St. Mary’s Episcopal on Poplar Ave. after the Wednesday morning services facilitating art classes to those in need who are interested. She also hosts classes at Open Arms Care Corporation and the Memphis VA Medical Center. The inside of the HART Gallery in Memphis, located at 645 Marshall Ave. Works on display are for sale as well as handcrafted items and prints. The eight-year-old Chattanooga site has seen many artists qualify as low-income rather than no-income after becoming full-time artists, and others have gained the confidence to enroll in school or pursue other careers. She hopes to create similar outcomes for the Memphis site and intends to get more involved in the Edge district. She hopes these types of galleries continue to sprout in an even more latitudinous manner. 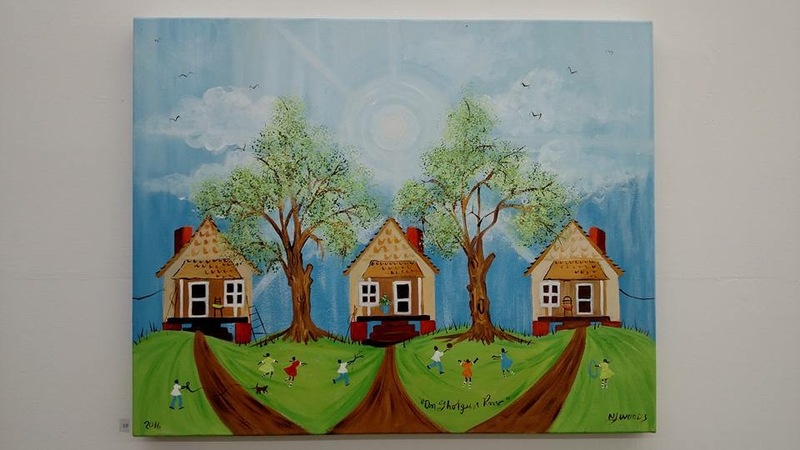 “I would love to continue to see more art spaces in Memphis, and not only in the Memphis perimeter, but also in Bartlett, Germantown, Frayser, and Whitehaven,” Hardy said.